Valerian root has been used for centuries. The Ancient Greeks first used it to aid with digestion. Later, others used it to improve nervous system disorders. Today, herbalists have learned that it can also work very well as a sleep aid. According to WebMD, people who suffer from mild to moderate insomnia can use valerian root to enable them to fall asleep. In some studies, valerian root has demonstrated the ability to decrease the amount of time it takes to fall asleep. After taking valerian root, you may notice some side effects. This is common since valerian root calms the central nervous system. The side effects you experience from valerian root are specific to you. Some common side effects may not disturb your lifestyle too much, but you should mention them to your doctor. 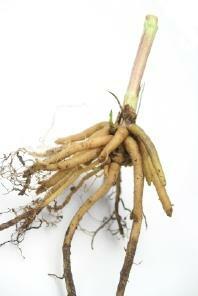 Valerian root is a natural diuretic. It causes your body to naturally lose excess water weight. Those who tend to visit the restroom during the night may find that this natural remedy actually worsens this need. Those taking certain prescription medications should not use valerian, cautions WebMD. If you take anxiety medications or other prescriptions, including barbiturates and benzodiazepines, you should not take valerian root. This includes medications like Xanax, Valium and Ativan. The valerian root will interact with these medications. Valerian may also interact with statins or certain antifungal drugs. If you expect to undergo surgery, make sure you discuss your use of valerian root with your doctor well in advance. According to the University of Maryland Medical Center (UMMC), valerian root can potentially make anesthesia more effective. Your doctor may have you taper off valerian root before surgery or may simply adjust the anesthesia accordingly. The American Cancer Society cautions you shouldn't stop taking valerian root suddenly, because it can cause withdrawal symptoms. Instead, wean yourself gradually or work with a physician to safely stop using the herb. Because valerian root can act as a sedative, you should be careful if you will be driving or using machinery. You should also avoid alcohol as it may increase drowsiness. Other sedative effects include lack of alertness, daytime sleepiness, and difficulty with short-term memory. You can minimize these effects by getting a full night's sleep after taking valerian root. You may wish to try valerian root for the first time before going to bed, and on a day when you can sleep late the next morning in case you continue to feel drowsy. Allergic reactions to valerian root are rare, but they do happen so always watch for unusual symptoms. Normally valerian root has a sedating effect on those who take it. Oddly, in some people the opposite happens, according to the UMMC. For them, valerian root causes restlessness and anxiety. The Office of Dietary Supplements recommends that women who are pregnant or nursing avoid taking valerian root because there is not enough evidence to support its safety. Children under three should also not take valerian root for the same reason. Valerian root is a highly effective tool at calming the central nervous system, so use it cautiously. You should not use the herbal remedy for longer than two weeks at a time. Slowly stop taking the root after that time and avoid using it for several weeks prior to using it again. Avoid taking valerian root with alcohol. It can seriously impair your ability to communicate and may cause life threatening poisoning depending on the amount you have taken. Avoid taking it with any other type of drug as well, especially illicit drugs. Like most other sleep aids, valerian root can cause dependency problems. Some individuals find they are unable to fall asleep without its use. Avoid this by using this herbal treatment only when you need to. Use it infrequently whenever possible. Be sure to keep dosing low to avoid becoming dependent. Most herbalists recommend taking 18 to 24 mg.
Valerian root is generally considered safe with few side effects. Herbal remedies, however, are still drugs. It is important to report any herbal remedies you take to your physician and work closely with a health care provider to ensure safe usage of valerian root.